This is pretty much the highlight of my Holiday holiday this year – today Lilly and I got to meet an internet celebrity – Caplin Rous, the giant coconut capybara! He is pretty much the coolest creature in the world. He is so gentle, so smart, and so charming! He makes the coolest little noise too, which you should be able to hear in the below video. He also really likes blueberries! We were feeding him frozen ones. We didn’t get to feed him a popsicle, but it was probably a bit cold out today. So if you didn’t know what a Capybara was, you do now! 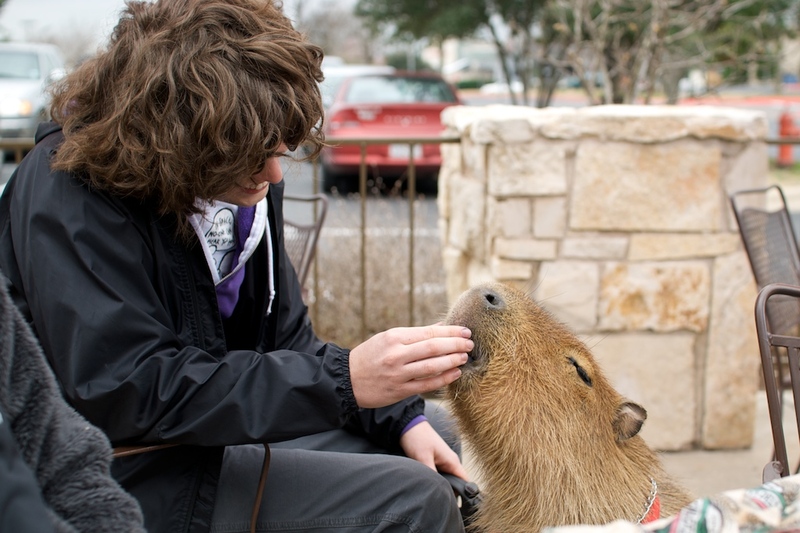 They are the world’s biggest rodents – just like giant guinea pigs! I like guinea pigs. 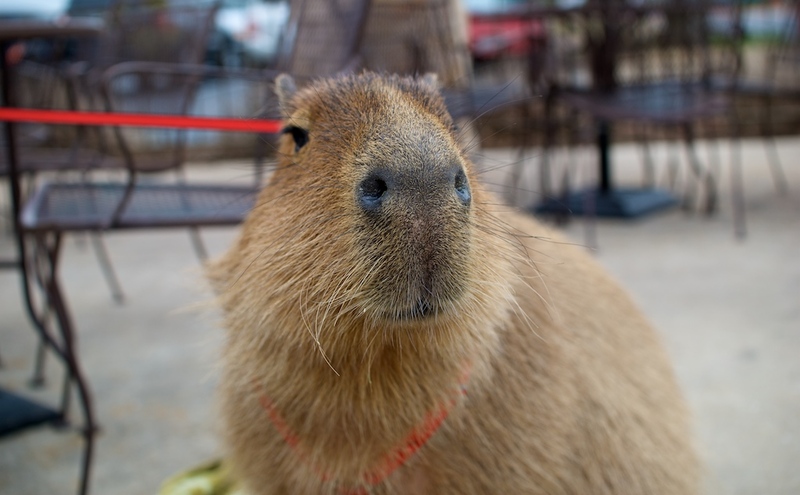 Capybaras come from South America natively, but Caplin was born in Texas. Apparently there are a handful of people who keep them as pets, but none as well trained as Caplin – he could stand up, shake hands and twirl around when pried with the right treats. If you want to know more information about Caplin, or capybaras in general, you can find a lot more interesting and fun related stuff on Caplin’s website, GiantHamster.com. Thanks to Melanie, Caplin’s owner, for being kind enough to let us come to meet him.